Seven alumni returned to Brookes on the 9 and 16 January to participate in Brookes Engage careers events for Years 12 and 13 school and college students. The alumni’s professions ranged from an Independent Film Director and Lecturer, to a Paramedic and a Policy Advisor for Oxford University. Brookes Engage is a 18-month engagement programme that has been developed for students who come from backgrounds which are under-represented in higher education. It is designed to support pupils to make a successful transition into university or from further education. Brookes Engage aims to provide participants with experiences that will develop skills and attributes that will be beneficial both in the world of study and employment. Both evenings were very lively with students being able to ask lots of open questions in their small groups and receive useful advice from the alumni professionals. One student mentioned how amazing it was meeting Film Director and Subject Co-ordinator Govind Chandran ‘15 who had been on the Star Wars film-set the day before! There was also another lovely connection with an alumni offer of film studios for the future use of Brookes placement students. "Thank you for organising and inviting me to such a great event Oxford Brookes University. The students were fantastic and Brookes Engage is such an incredible initiative." "It was a very satisfying session helping a young student and sharing my experience. A well-planned and thought out event." "It was great to meet students who are interested in the paramedic role that I do. In particular I found it refreshing knowing that a student values the role and recognises the importance of a paramedic as well as the NHS as a whole." Siobhon Hall - Paramedic for South Central Ambulance Service. 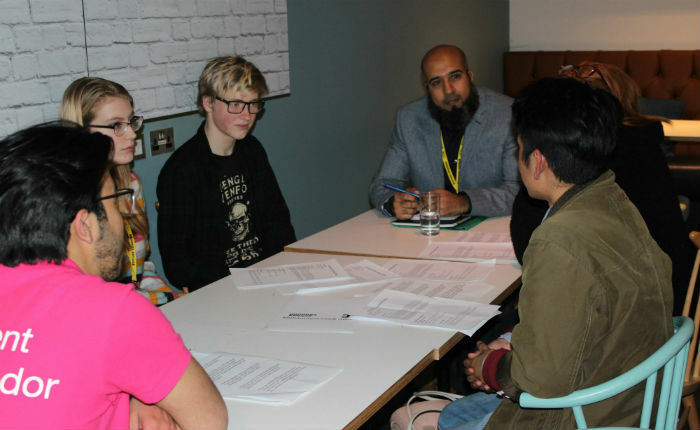 "I found the event extremely enjoyable, being able to speak to this age group is very important, bringing our first-hand experience with tips and advice on what went well and not so good as well within the workplace. I thought it was beneficial not only for the students but for the mentors/speakers as we could have a conversation with a younger generation learning at the same time on what their views are for future careers and what steps they think they can take to achieve this." To get involved with Brookes Engage or other volunteering opportunities, let us know by completing our get involved form.